Ever wondered what's the difference between a beer snob and a beer geek? Just place a Bud Light between them. As the state of beer culture today has shifted its emphasis more to specialty beers, beer snobs are increasingly quick to disavow their love of the classics that got everyone into the game in the first place. 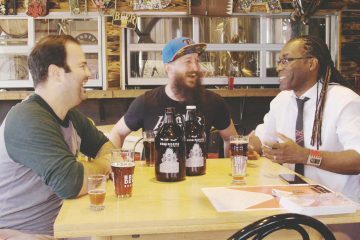 But even the most snarky of connoisseurs has some fond memories of swilling the cheap stuff, in spite whatever inclines them towards locally crafted IPAs now. No matter where one's taste preferences lie within the spectrum of beer drinkers, most can agree that at the end of the day — it's all just beer, and there's something out there for everyone. As for places to grab a cold one? The rise of craft beer culture has brought with it a slew of breweries, brewhouses, pubs and brewpubs. In the case of the brewpub, in particular though, the area has yet to see a place that truly lives up to the most basic definition: A restaurant that sells beer brewed on the premises. 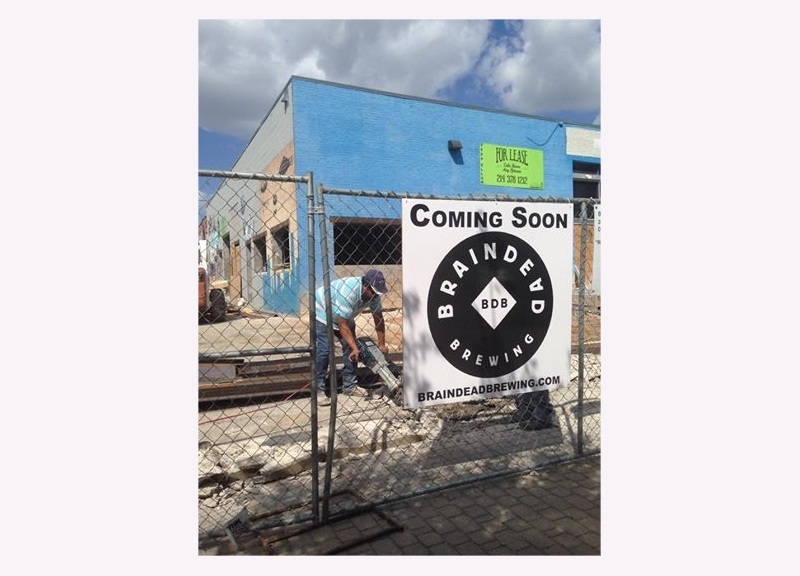 Enter Braindead Brewing, the brainchild of Sam Wynne (Rodeo Goat), Jeff Fryman (The Common Table) and Drew Huerter (Deep Ellum Brewing Co.) that intends to bring the Metroplex its first dedicated brewpub. As the place approaches its impending opening — just down the street from Pecan Lodge — we spoke with Sam Wynne to get his take on the world of brewpubs and what we can expect from the “Braindead” space between the world of beer geeks and snobs. The name started as an inside joke between Jeff Fryman and the ownership of The Common Table where he used to work. As the joke escalated over time, the concept began to take a legitimate shape representing things that we deem to be either missing or misrepresented in the brewing world. 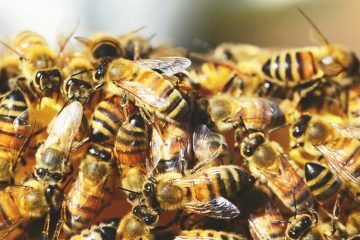 How has the concept grown since the idea was first pitched? Did you ever expect it to turn into what it is currently? The concept has come a very long way, but in some ways it hasn't changed a bit. When we first started, it was supposed to be Jeff and I brewing, bartending and making the occasional pizza, in a counter service environment. When we found out Drew Huerter was legitimately interested, we needed more space for a proper brewery. As we found our home in Deep Ellum, the pizza concept went out the window. Then we found David Pena, and now the foodservice side is as much of an emphasis as the brewing side. When we first set out, as well as at the end of the day, we intended to bring to Dallas a brewpub unlike any other currently operating in the region, and we are definitely still doing that. How did the partnerships with Fryman and Huerter come about? Jeff and I got to know each other studying for the Master Cicereone exam along with Mate Hartai, formerly of The Libertine. Now Mate has gone on to found The Cold Standard. Jeff and I started bouncing ideas off of each other for the way we wanted to change the Dallas beer scene. Some of my ideas were similar to his, some vastly different, but we liked the contrast it provided at times having our different backgrounds mold the development of our concepts. Anyone that has ever met Jeff knows this unique enthusiasm I am referring to. Drew's arrival was just a pure stroke of luck. We were at an Untapped Festival and as I introduced Drew to a friend of mine as “The Brewmaster for Deep Ellum Brewing,” Drew responded with “Only until next Monday.” I came back with “Then I will call you on Tuesday,” and the rest is beautifully serendipitous history. 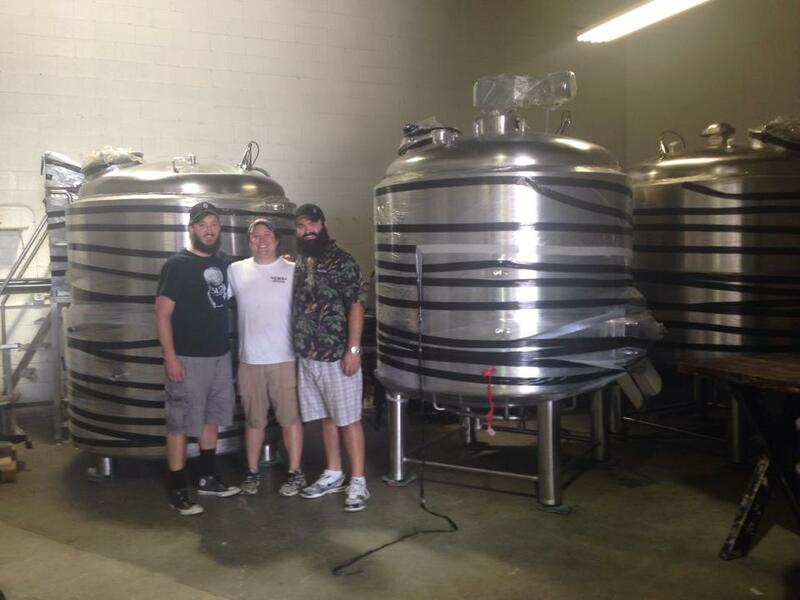 What have you learned about the brewpub business in the process of getting Braindead open? I have learned a lot while carving this new path. Probably the first of those things being that very few even really know what a brewpub is outside of the industry. People tend to miss the disambiguation between brewery, pub and brewpub. That was one of the first signs we saw that let us know we were on the right track. We will do our damndest to make sure everyone knows the difference by the end of 2015. 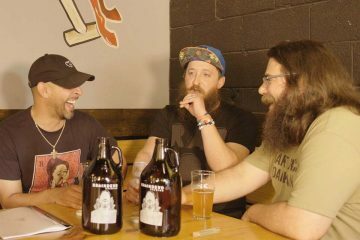 With Braindead Brewing being one of the first few places in the region to be a dedicated brewpub, how would you say getting the place up and running has been different than if you would have been in a more saturated market? 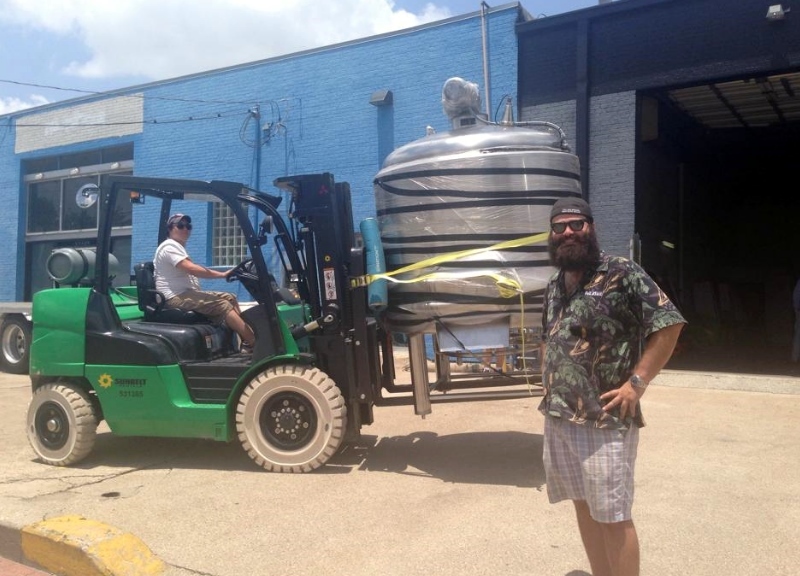 Many of the rules governing brewpubs changed in Texas only a year ago. We are presenting new challenges to a lot of people locally: construction folks, city officials, equipment vendors. You name it. How has your partners' prior experience helped during the opening process? Before I even met Jeff, people in Austin would tell me about him since we were among the first in Texas to get our Cicerone Certifications. He did for The Common Table what I was doing for Flying Saucer. The beauty in that is that we inherently have different opinions on how to achieve the same end goal. I have a lot of routines and structure that have always been the way I did things, and Jeff has no fear of rethinking everything. 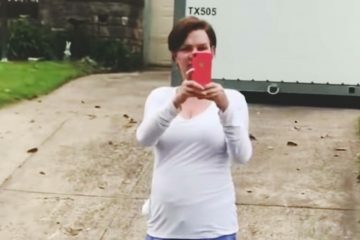 He isn't content doing something the same way, just because that's how he did it before. He's the real dreamer in our partnership. I call him my Icarus, because he's teaching me how to fly. Sure there is another way to interpret that tale, but you get what I mean I hope. 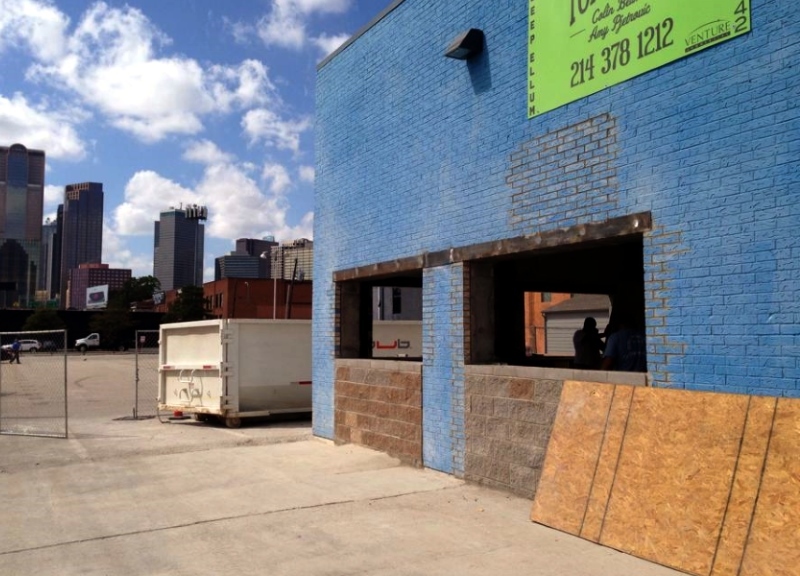 Why was Deep Ellum chosen for the location? What was it about the area that made it preferable among others in the Metroplex? Where there other places considered? As I have said before, if Downtown is the heart of Dallas, pumping the lifeblood of commerce throughout North Texas, then Deep Ellum is definitely the soul. There is a resonance between this neighborhood and our concept that can't be ignored. I know this is where we are supposed to be. We looked high and low, in every nook and cranny in this town, and found not only the right neighborhood, but the right address for what we are trying to do. How has opening Braindead been different and/or similar than opening Rodeo Goat? What were some of the things you learned from opening RG that you were able to bring to the table with Braindead? The experience of the Rodeo Goat partnership makes it completely different. Keith Schlabs, Larry Richardson and my old man are the very best in the business, and I'm very fortunate to have had the opportunity to work so closely with them. Between them, they have opened more restaurants and bars than I have lived years on this planet. If you throw in Saucer GMs Ted Rowell and Jake Rainey, I can say I learned everything I know about the business from those five people. But I'm not in class anymore. I'm on my own with Jeff and Drew and David. We take those lessons and try to learn from them without plagiarizing. What were some of the biggest influences that helped to shape the concept of Braindead? Jeff and I are beer geeks, not beer snobs. We get to make our passions our work. We see an industry that we love and we think we can do our part to give back to it and help it evolve into something bigger and better. We want to help grow the already amazing Dallas beer scene. We want to develop the community and help keep it accessible rather than exclusive. Beer is for the people. What can you tell Central Track about the inaugural brews? We'll launch with as many of these as we can — a lighter Scottish ale, 70 Schilling, and then our core four: BrainDead Red, GRITS (pre prohibition cream ale), a hoppy wheat and the Foreign Extra Stout. 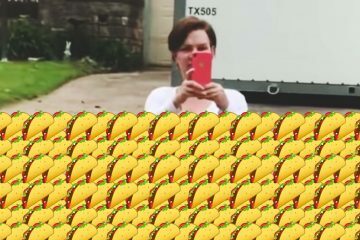 How was Chef Pena chosen? How was the menu decided? David is already a part of the beer community here, and that was important to us. He is a homebrewer, and loves to cook with beer as well as drink it. Most importantly, he has something to teach us, and we have stuff to teach him. We both see the opportunity to become better at what we do through working with each other, and this makes it the right choice for us. After throwing the pizza oven out the window — and before David came along — Jeff had a menu, I had a menu, and Drew had a menu. They were all strong, and they all had their weaknesses. David's experience let him walk in, take our good ideas, throw out our bad ideas and contribute ideas of his own to take us to the next level. He brought in a regionality that gave our menu the conceptual backbone it needed to be cohesive. We look forward to sharing it with you. What are some of the menu items you're most excited for patrons to try? Pickles. It's really the one part of the food side of things that has stayed consistent from notes on cocktail napkins to professional business plans. I know we aren't the first people to bring pickles to the table, but we are definitely looking forward to pushing its boundaries. As we get closer to talking more openly about the menu maybe that enthusiasm will shift. When do you hope to open? How long has the entire process taken? What is something you want people to know about the business prior to opening? Part of me wants people to know nothing about the business prior to opening. Make your own opinions. Come check us out when we finally get those doors open. In the meantime, go places you have never been. That place that looks cool on the way to work? Stop by on the way home. Take a peek around. Try to find a restaurant that has a menu not in English. Go check out a bar that looks too scary to enter, and then go to one that looks too uptight for your comfort level. Push your own boundaries and open your eyes to this amazing city. Be one of the people that makes this a cool place to live. Photos via BrainDead's Facebook page.